Despite being pretty good at working with numbers, I’ve never been very good at Sodoku. Still, it’s a pretty fun game – especially when you need to pass the time on a long trip. 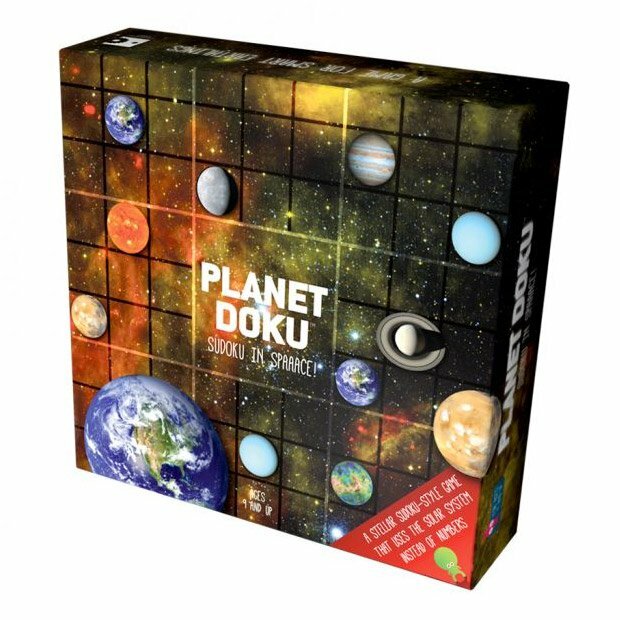 If your next trip involves a visit to outer space, you might want to check out Planet Doku, a special variant of Sodoku that’s played with planets instead of numbers. 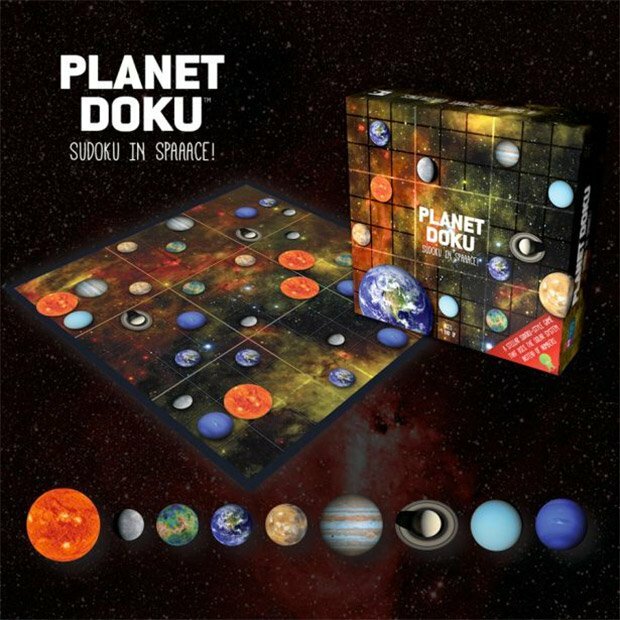 The premise is pretty similar though – you simply need to place one of each planet or Sun token in each row, column and square of the board without repeating any of them. And no, they didn’t include any dwarf planets, so Pluto doesn’t make an appearance. The game offers three different difficulty levels, and is available from Copernicus Toys for $24(USD).